Urban Forests – Caslys Consulting Ltd.
Urban forests are treed landscapes found within a community and, as a result, often include multiple ecosystem types important for wildlife and the community members who value these spaces. 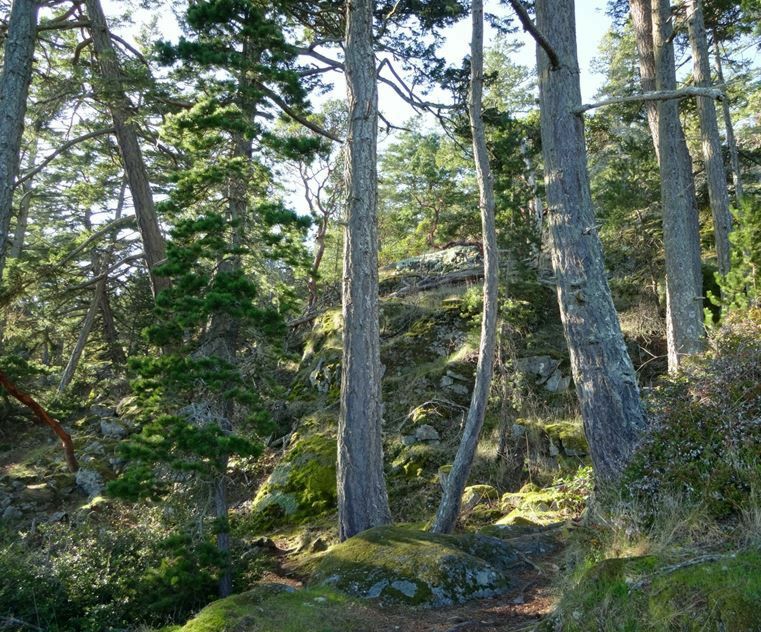 Working with the Capital Regional District (CRD) and Habitat Acquisition Trust (HAT), Caslys classified urban forest attributes and identified impervious surfaces in the Capital Regional District for three time periods – 1986, 2005 and 2011. The goal was to produce a dataset that facilitated the development of action-oriented management recommendations for maintaining and, where feasible, enhancing or restoring important habitat areas at both the regional and local scales. The project involved the application of image classification techniques to derive a land cover dataset for each of the time periods. The land cover data were then summarized based on a one-hectare grid to quantify forested land and impervious surface densities. The project results helped identify the quantity and quality of the forest and provide a visual aid to support decision-making. In addition, the development of a multi-temporal dataset allowed changes in the urban forest landscape to be identified (e.g., through the development of summary statistics and land use change maps) and subsequently managed. Ultimately, the spatial data for vegetation communities and wildlife habitats generated from these analyses will be linked to management recommendations. The aim is to work towards the goal of maintaining habitat reservoirs and refuges, as well as connectivity corridors throughout the region.